Archives : DOWN FALL CONTIINUES, NO MERCY FOR THE BULLS - 04/02/2011. 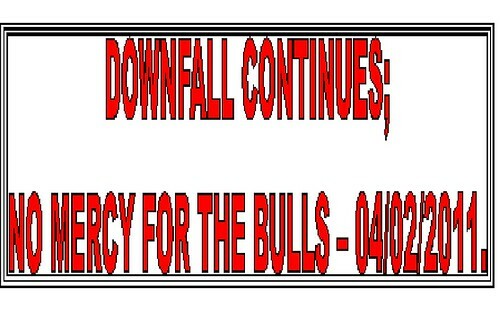 DOWNFALL CONTINUES; NO MERCY FOR THE BULLS – 04/02/2011. SHORT TERM SUPPORT ZONE HOLDS. As expected the market started behaving overtly bearish after it successfully breached the 200dma. FII selling continued and the Bears were ruthless in their approach; showing no mercy for the Bulls. While moving lower, the major support zone for Sensex (17900 - 18100) and Nifty (5350-5400), as pointed out in the last weeks article came into play. This support zone was tested successfully and the market is now just clinging on to it. This support zone was formed due to a confluence of supports emerging in this range. DOWNFALL CONTINUES;NO MERCY FOR THE BULLS – 04/02/2011. The Sensex opened the week at 18226, made a high of 18542, a low of 17926 and closed the week at 18008. The Sensex lost 387 points on a weekly basis. Similarly Nifty opened the week at 5452, made a high of 5556, a low of 5369 and closed the week at 5395. The Nifty too closed with a loss of 117 points on a weekly basis. Both the indices have formed a Bearish Engulfing on the daily charts on Friday. Since the Bearish Engulfing pattern has been formed at the bottom, it has the potential of being a bullish bottom reversal signal. This pattern is the Last Engulfing Bottom, which can be a turning point for the Bulls if the prices can close above the previous days black candle’s close. On the weekly charts, there is a small black body formation like a star but with a slightly long upper shadow. This is a neutral formation and the next weeks candle will determine future direction of the market. The market is trading well below all the major moving averages. 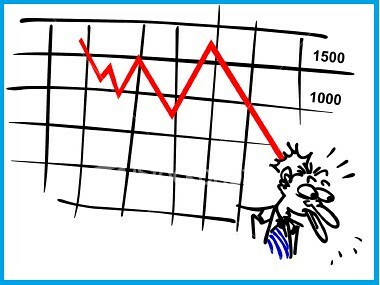 Market is now firmly below the 200dma (Sensex – 18740 and Nifty – 5626) and as a result the long term trend is down. The short term as well as the medium term trend continues to be down as the market is well below the 20dma (Sensex – 18839 and Nifty – 5649) and 50dma (Sensex – 19482 and Nifty – 5840) respectively. The market has formed lower top and lower bottom formation and as a result the medium term trend is down. 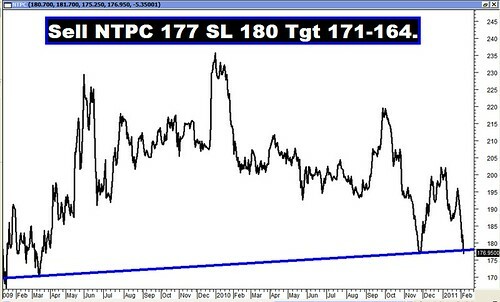 The long term trend will stay intact as long as 17819 for the Sensex and 5348 for the Nifty remain intact. If we consider the short term rise from 15960 to 21108 for the Sensex and 4786 to 6338 for the Nifty, then the retracement levels for the Sensex will be at 19141-18534-17927 and 5745-5562-5379 for the Nifty. Both Sensex and Nifty tested the 61.8% retracement of the above fall and have just bounced off from there. We consider the medium term rise from 13219-21108 for the Sensex and 3918 to 6338 for the Nifty then the retracement levels will be 18094-17163-16233 and 5414-5128-4842 for the Nifty. If we consider the entire rise from 7697 to 21108 for the Sensex and 2252 to 6338 for the Nifty, then the correction levels for the Sensex will be at 15985-14402-12820 and 4777-4295-3813 for the Nifty. There is also previous bottom at Sensex 17819 and Nifty 5348. There is a cluster of supports emerging in the region of Sensex 17900-18100 and Nifty 5350-5400 and hence these areas will act as strong supports. Both the indices have achieved their targets for Bearish Broadening Top and Bearish Head and Shoulders Pattern. Pattern formation is a dynamic process and a negative bearish pattern formation is in place and the target according to that is Sensex 17691-17484 and Nifty 5311-5261. Majority of the oscillators are in Sell mode. The MACD and ROC continue to be in Sell mode while being in negative territory. The RSI is at 31 and continues with its Sell mode. OBV and Money Flow Index continue with their sell mode. The Stochastic Oscillator is in Buy mode as %K has cut %D from below and at the same time %D is still in oversold zone. The ADX has increased to 36 suggesting that the downtrend is gaining strength. The Directional Indicators continue to be in Sell mode as +DI is below -DI. The OI PCR has fallen and is at a low level of 0.92. Options activity suggests that the highest buildup of Puts is at strike of 5200. Call writing is the highest at the strike of 5500, followed by 5700. Thus options activity suggest 5200 to act as support and 5500 - 5700 to act as resistance. The Trendline Resistance for the Sensex is at 18281-18706. The Trendline Support is at 17523-17191. 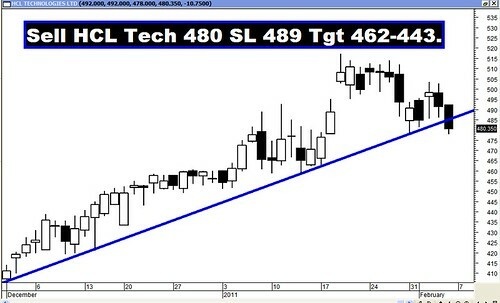 The Trendline Resistance for the Nifty is at 5520-5597. The Trendline Support is at 5265-5204. For the week ahead, Sensex will find Support at 17794-17546-17276 and will find Resistance at 18355-18706-19074. For the week ahead, Nifty will find Support at 5310-5238-5160 and will find Resistance at 5513-5624-5721. Almost all the targets were reached with ease. The star performers being Maruti and Adani Ent.